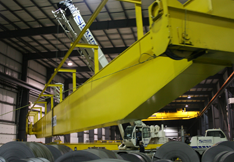 Zelus specializes in innovative solutions to suit your facility and lifting needs. Zelus provides expert service 24/7. For a fast, reliable, response call 1.866.94.ZELUS. A wall mounted Jib Crane is a cost-effective lifting solution when floor space is minimal. No overhead structure? A gantry crane is an economical way to optimize a workspace. 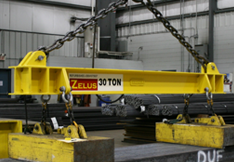 Zelus offers a full line of overhead bridge cranes and hoists. Zelus provides complete installation, inspection & preventative maintenance programs. Zelus Material Handling is the reliable source for all your industrial service and material handling equipment needs. Our team offers you the benefits of many years designing, manufacturing and servicing overhead cranes, jib cranes, monorails and hoists. We specialize in innovative solutions – from small work cells to large capacity cranes, we can customize a system for your specific material handling application.